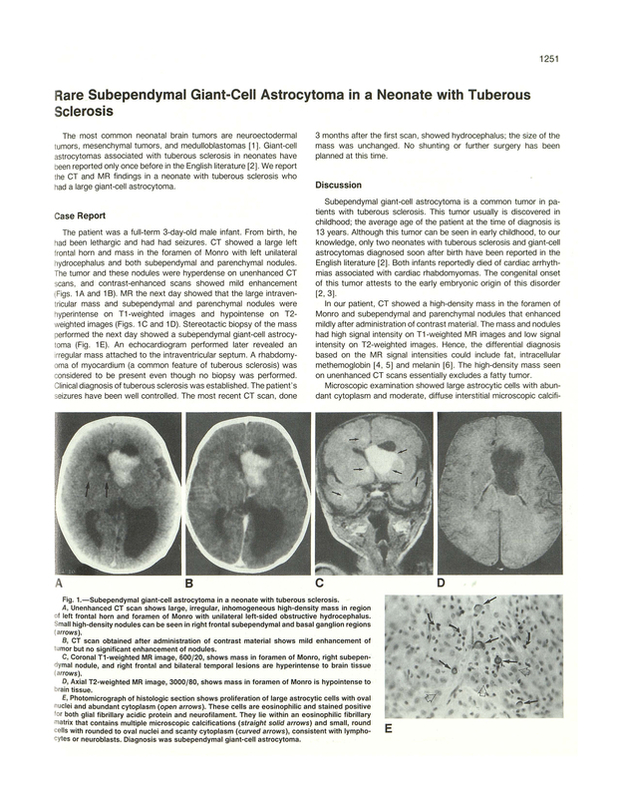 Rare subependymal giant-cell astrocytoma in a neonate with tuberous sclerosis. University of California, San Diego, School of Medicine, La Jolla 92093. You are going to email the following Rare subependymal giant-cell astrocytoma in a neonate with tuberous sclerosis.